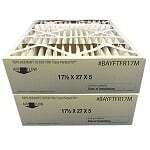 These FiltersFast MERV 13 Furnace Filters replace Trane Perfect Fit Air Filters with the part number BAYFTFR17M or FLR06069. The dimensions are 17.5x27x5 and are used in several Trane Air Cleaner models. But while the Trane Perfect Fit Furnace Filters only feature a MERV 8 rating, these compatible furnace filters boast a MERV 13 rating, meaning they will reduce pollen, dust, pet dander, mold spores, dust mites and other allergens from your indoor air. This is not a genuine Trane Perfect Fit Air Filter -- it's better. 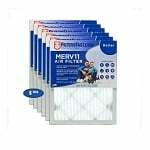 The MERV 13 filter media in this Trane Perfect Fit compatible air filter will alleviate allergies and sinus irritations that cause watery eyes, itchy throat, coughing and sneezing. These furnace filters will also prolong the life of your HVAC system by making it work more efficiently. Upgrade your Trane Perfect Air Filters today! 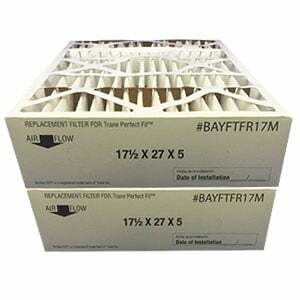 In addition to replacing Trane air conditioner filters, these furnace air filters can also be used in any air cleaner that requires a 17.5x27x5 furnace filter, such as the Trane / American Standard TFM175B0FR0. 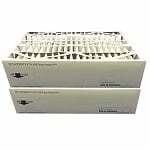 These furnace filters also replace the BAYFRAME and BAYFTFREXM2A filters. Price is for two Trane Perfect Fit compatible air filters. Actual size of this air filter measures 17 1/32 X 26 3/16 X 4 15/16. Please ensure this filter will fit your application before ordering.